Turns out team dude was letting me know the young man was an up and coming CX racer of note and that his name was Wout Van Aert. Sorry bro. In #SVENNESS 2.9 we travel to Jaarmarktcross Niel in Belgium. This race is part of the Soudal Classics and has been won by Sven Nys four times prior to this year’s event. Would this race mark his fifth victory at Niel? The course was extremely wet and we focus on mud riding, a tricky off-camber section, and isolated displays of strength and power that makes all the difference in this race. This race also features a breakout performance by 19-year-old Wout van Aert who is right at home mixing it up with big boys. #SVENNESS 2.9 from In The Crosshairs on Vimeo. As always, #SVENNESS is presented by Skills Drills and Bellyaches: A Cyclocross Primer. The perfect gift for you or that buddy who always says “maybe next season I’ll try ‘cross.” To find out more and to purchase, go to cyclocrossbook.com. 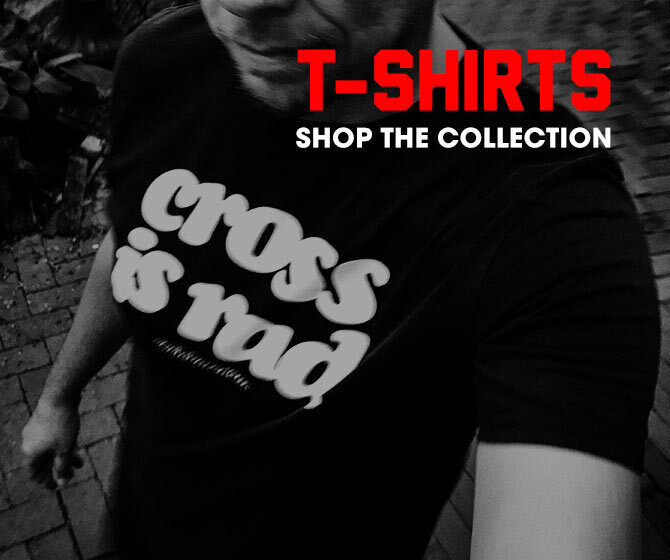 Also, check out our shirts, socks, gloves and waterbottles at crosshairscycling.com/shop.